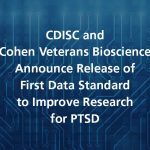 CDISC and Cohen Veterans Bioscience are pleased to announce the publication of a new Therapeutic Area Standard for Post Traumatic Stress Disorder released in the form of a User Guide for data managers, statisticians, programmers and study managers. The Michael J. 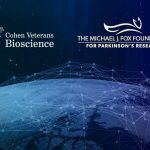 Fox Foundation for Parkinson’s Research (MJFF) and Cohen Veterans Bioscience announce their partnership on BRAIN Commons, a platform designed to fuel the use of big data in brain disease research. It provides unprecedented access to research data and analytics.